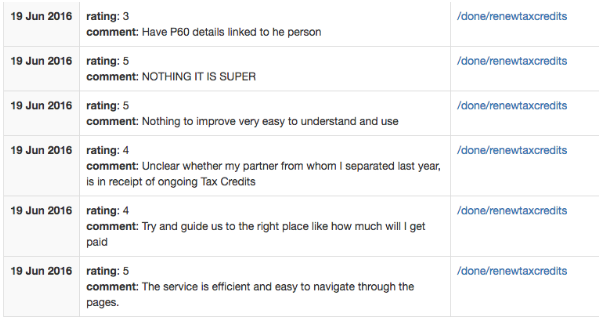 Feedex is a an application that collects user (public) feedback on GOV.UK services and pages. Feedex records comments that the user has left, and for service pages it also records a rating (1 to 5). 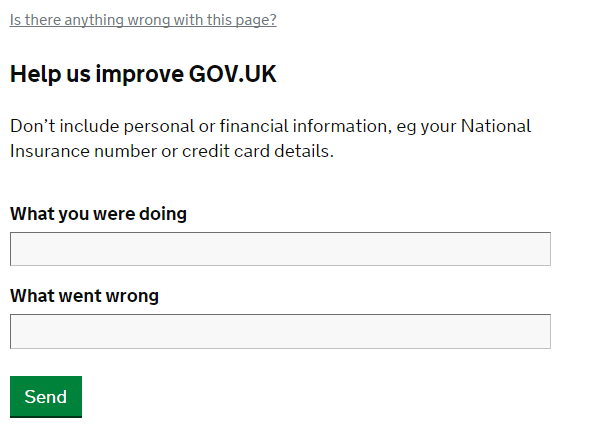 As the public rate and leave comments on content pages and services on GOV.UK, government publishers and service teams are able to make improvements based on user feedback. It’s one of our most important tools. Feedex gets used a lot. We've noticed occasional performance issues related to this which can lead to timeouts for citizens and publishers. This is because when a user provides feedback, even if that is only a rating (number), Feedex records it as an individual record. For example, instead of displaying one line to say that there were 10 ratings of 5, it shows 10 separate rows displaying a rating of 5. Or, in more technical terms, the main feedback table in support-api contains almost 17 million records. 16 million of these are simple 1 to 5 ratings for a GOV.UK service, which individually are not useful to content designers or service managers. When searching this table for feedback for content pages (the 1 million other rows), Feedex needs to scan past all the service feedback in between the useful content. This slows down the queries to the point at which they time out and show errors to users. The other consequence of line-by-line entry is that because some services have so much feedback left, it is hard for a publisher to see whether the service has a good rating or not. The changes we’ve made only affect publishers that use /done pages for their services. We’ve aggregated the data in instances where the only feedback is a rating - a number only. If these were all individual lines, it would be very hard for publishers to tell whether their service was rated well, or not. Now, condensing all the service ratings for March 2016, requires just 5,400 records instead of 1.4 million. By reviewing the functioning of parts of the technical stack, and consolidating or making changes where it makes sense to, we’ve improved the performance of this vital tool for publishers and service teams. Really, you changed one itty bit detail of your database schema to improve the scalability and this gets a blog post?